The term "fad diet" (and sometimes "diet cult") is a perjorative term used by critics to describe diet programs which make claims of achieving weight loss or other health advantages, but are not backed by solid scientific evidence (such as peer-reviewed studies), and areare based on theories which contradict mainstream nutrition advice. Many famous diet programs are considered by their critics to fall into this category, and this can even include famous diet program swhich have been devised by doctors. Lack of solid and reliable scientific evidence for the efficacy of the diet. Contradict mainstream nutrition advice (which emphasizes eating less, increasing exercise, eating lots of fruits and vegetables, and limiting junk food intake). Many recommend restrictive or highly unusual food choices. Creators and promoters of fad diets often profit significantly from the diet program itself, and from selling associated products and services. 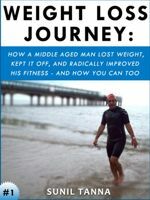 Of course it can not be said that all people following fad diets will fail - firstly because in many cases the scientific studies and tests have simply never been done - but also because there will nearly always be people who fail to achieve their goals (for example by not losing weight permanently) and others who succeed (by losing weight). That said however, the success rate for fad diets is generally believed to be low - most people seem to gain back any weight lost within a few years principally because they revert back to their prior habit after completing a fad diet, since fad diets are usually based around unsustainable eating habits.